Mamoru Hosoda has been responsible for some of the greatest anime movies of the 21st century including Wolf Children, Summer Wars and The Girl Who Leapt Through Time. Anticipation has been building for his upcoming film since it was first revealed in the lead up to this year's Cannes Festival. Fresh details have been revealed alongside our first look at footage courtesy of the debut teaser trailer. The film's full title is revealed to be Mirai no Mirai which translates as Mirai From The Future. The story will focus on a spoiled four-year-old boy called Kun-chan, who is resentful about the arrival of his new little sister Mirai. He feels the new arrival has stolen his parents' love away, but things take a turn when he meets an older version of Mirai who has travelled back from the future. This sounds like an intriguing mix of the time travel element of The Girl Who Leapt Through Time blended with the family dynamics that feature prominently in his other films. The teaser trailer gives little away (especially when you don't speak Japanese) but showcases some typically sumptuous animation. It also gives us a little taste of the characters, with Kun-chan looking like quite the bratty little kid and the older Mirai looking like a typically spirited Hosoda heroine. 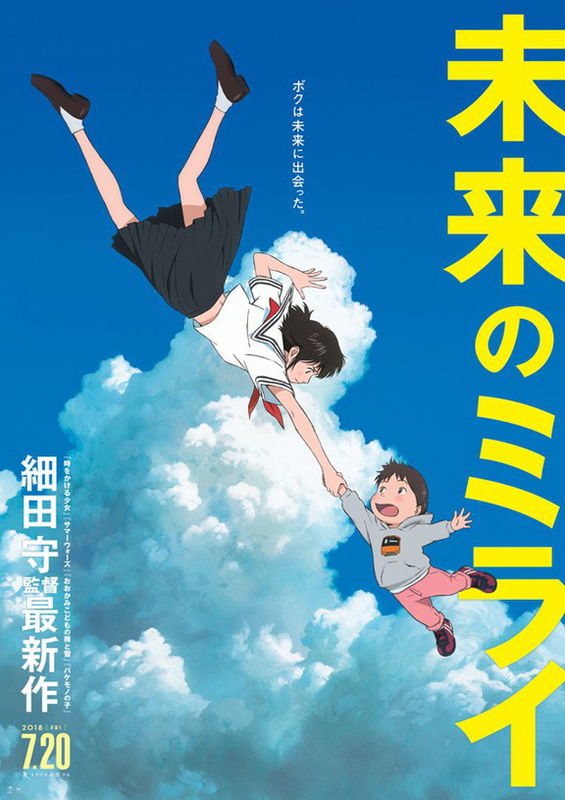 The film will be written and directed by Hosoda at Studio Chuzu, with Hiroyuki Aoyama and Ayako Hata acting as animation directors. Mirai From The Future is set for a Japanese release on July 20, 2018. International releases are to be confirmed.